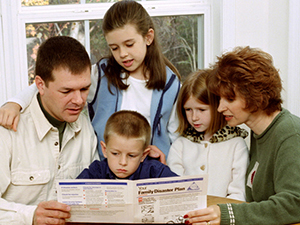 Explore the science behind severe weather and learn how to stay safe and prepared. Discovery Education and The Weather Channel invite you to attend a virtual event LIVE from The Weather Channel on December 11th at 1pm ET. Meteorologists from The Weather Channel will discuss the science behind hurricanes, tornadoes and other severe weather and provide tips on how to create a plan to keep safe in case of a weather emergency. Your classroom will take a behind the scenes tour of The Weather Channel studios and live weather center to explore the technology used to predict, track and report severe weather. To get ready for this event, we provided a series of videos and hands-on activities, as well as a Family Preparedness student take-home activity. Join us for an interactive and informative discussion to prepare you and your students for any kind of weather! Does anyone know what grade level this is geared towards? Would it be appropriate for 3rd Graders? Nick- thanks for your question. The Connect With Weather program is aimed for 3rd-8th graders, so we are aiming for a similar audience. I do believe it will be valuable for your 3rd graders, even if some of the content ends up being above them. It will provide a great level of background knowledge and an experience for further exploration of this subject. Very excited to have found this! We are studying the weather this year and this is perfect to add to what we are doing! Thank you!